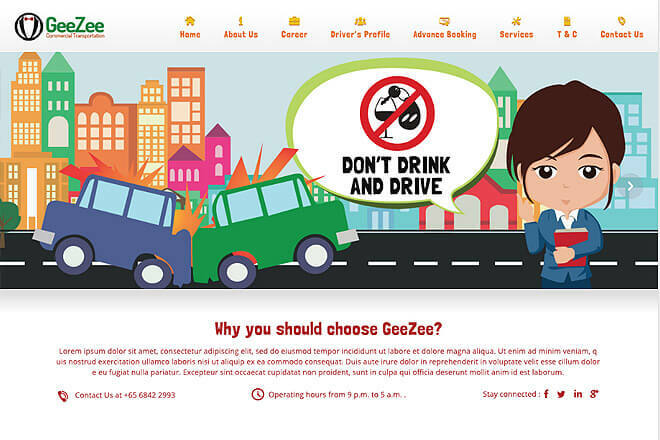 GEEZEE Commercial Transportation is customer orientated Drive-home service provider in Singapore. We make sure that we sends both you and your precious car back home safely. Should you have consumed any alcoholic products, do not HESITATE to call us! If you drink, let geezee drive.